Everyone, meet Molly the Pirate Queen, one-eyed rescue dog and priviteer. She's pretty awesome. So some updates from the world of Dave- country project Houndstooth is up and running and playing shows, and Dream Alive's demo has been tracked and should be released in a few months. That and of course many many other upcoming things. Great studio - one day of tracking down and another coming up in a few days. 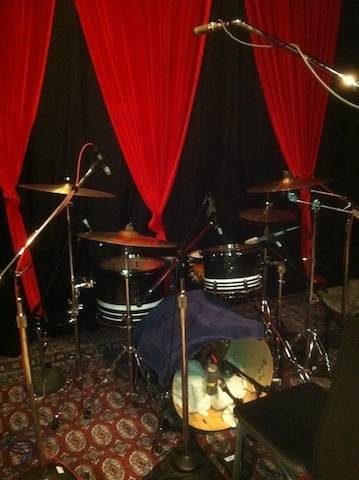 We were crunched for time so all I was able to get photos of was the mic'ed drum set before we got started! 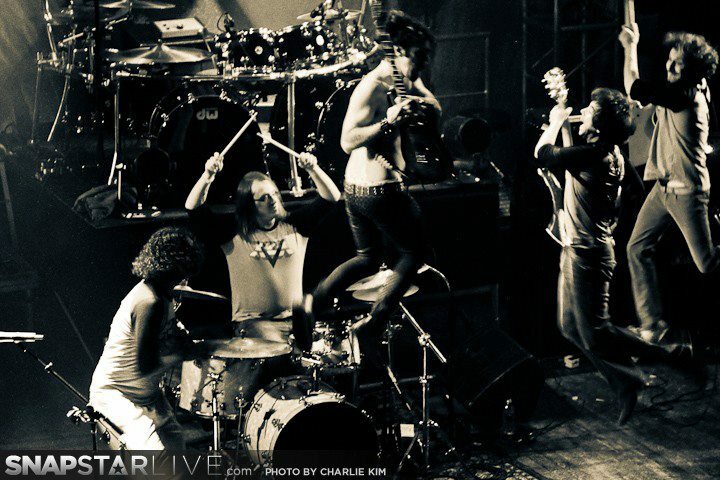 Xyzyx opened for Steel Panther at the House of Blues, and photographer Charlie Kim was there to snap some shots.